Please specify quantity in Litres. Packaging 5 liter can. Please enter number of pieces of the gift-box you wish to buy. Zero for none. Please use this space for comments, requests or clarifications. We will try our best to assist. Please fill order form with your details and quantities you wish to buy. Payment will be requested when Olive Oil is shipped, no payment is required when order is submitted. 5L Can Packaging - Price per liter is €9,00 in Italy and €11,00 in the rest of Europe. Gift-Box - €28,00 per piece/box. Prices include shipping. 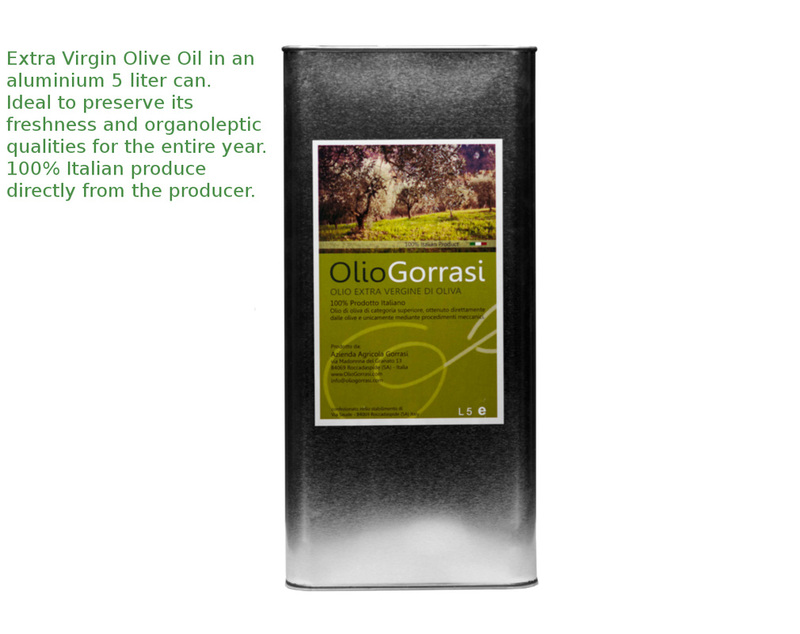 We will inform you by email when we ship our new Olive Oil to you. We are able to ship our Extra Virgin Olive Oil to any address within Europe only. Our customers can change mind at any time. Once the order is submitted you can cancel it with a simple email to customerservice@oliogorrasi.com till the date you receive confirmation of your order acceptance from us. We will confirm your order by email when shipping is executed and provide you with payment instructions by bank transfer. 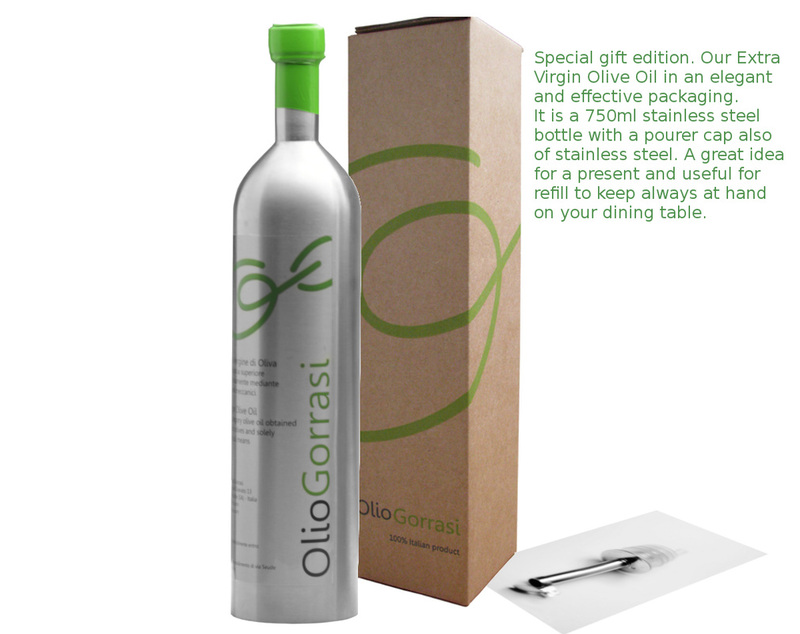 From the confirmation date, Olio Gorrasi has a 30-day, no question asked, cancellation policy. In case of cancellation we will refund 100% of your money within 14 calendar days from your cancellation request. Any transaction cost will be incurred by us. Following your cancellation, in case we require return of the product we shipped to you, the cost for the return shipping is also incurred by us. For more information or clarification about our cancellation policy, please do not hesitate to write to us at customerservice@oliogorrasi.com.